Each of these super readers received a certificate for a party of their choice at the Boroughs Branch YMCA. We had 50 students in the 300+ Minute club, 89 students in the 500+ Minute club and 52 students who read 1000 minutes or more. Our all-school total was 3372 hours and 21 minutes of reading. Sponsorships are still rolling in but have reached about $4000 to date. Congratulations to all the students and families! Your support of this program is deeply appreciated! Close to 50 parents in the Walter J. Paton Elementary School community took time out to bake cookies and other goodies this month for the annual Paton Sweet Treat event. Each year, the Paton PTO hosts the event, which aims to say “thank you” to our wonderful Paton teachers and staff. The event, formerly known as the Cookie Swap, was held Friday, December 11th and includes treats for everyone, including teachers, administrators, ESC staff, custodial and cafeteria staff, bus drivers and crossing guards. The aim is to show appreciation for their hard work each year by offering them a fun opportunity to fill their plate with cookies made from the heart. Each year, the PTO recruits volunteer parent bakers who take time to make a batch of their favorite cookie and donate it to the school event. The day is always a staff favorite that the school looks forward to each year, according to many teachers and staff within the school. Many others took time to let the PTO know how much they love the Sweet Treat event, too. Paton PTO President Melissa Wensky and parent volunteer Marcia Blakely package up “to go” treat plates for bus drivers and other staff who need their treats on the run! Paton’s annual Donation Challenge kicked off at the beginning of the month, and there are only a few days left to log on and make a contribution to fund the program of your choice. How does the Donation Challenge work? Follow this link to our Sign Up Genius list of important enrichment programs made possible with PTO funding. Choose the program you want to support by signing up to pledge. Or simply go with a “you choose” option and fund any dollar amount you wish to pledge. Payments can be made with checks made payable to the PTO or through our Paypal account. In 2014, the Donation Challenge raised over $5000 for Paton enrichment programs during these few, critical weeks. But once the Challenge is over, if goal is met, the Paton community can be assured they will not be asked to fundraise again in some of the more traditional ways, such as bake sales and road races. Each dollar raised through the Donation Challenge goes directly to fund programs that would not be possible without donation dollars. 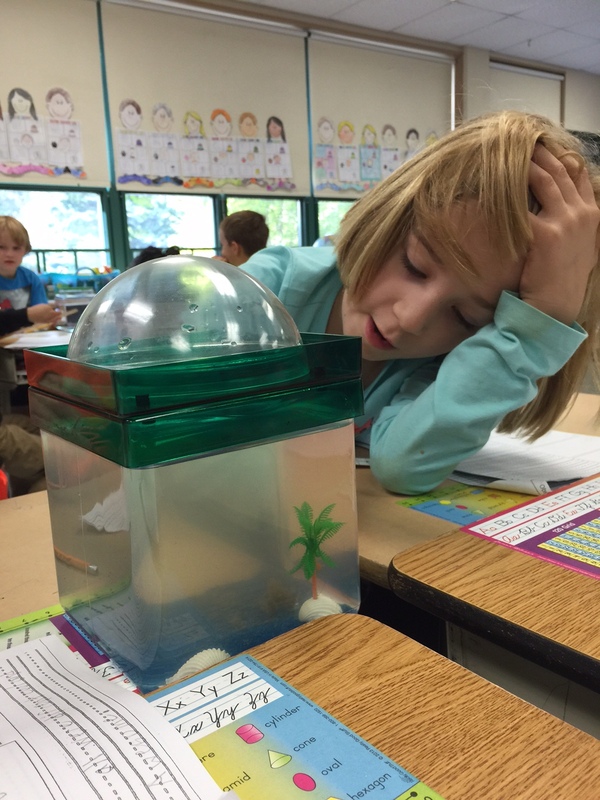 In fact, your dollars donated through the Challenge help make Paton’s curriculum more rounded each year. The Donation Challenge ends on October 19th. Please check out the list of funding options at this link today and make your donation. See below for updated information on which programs still need support! 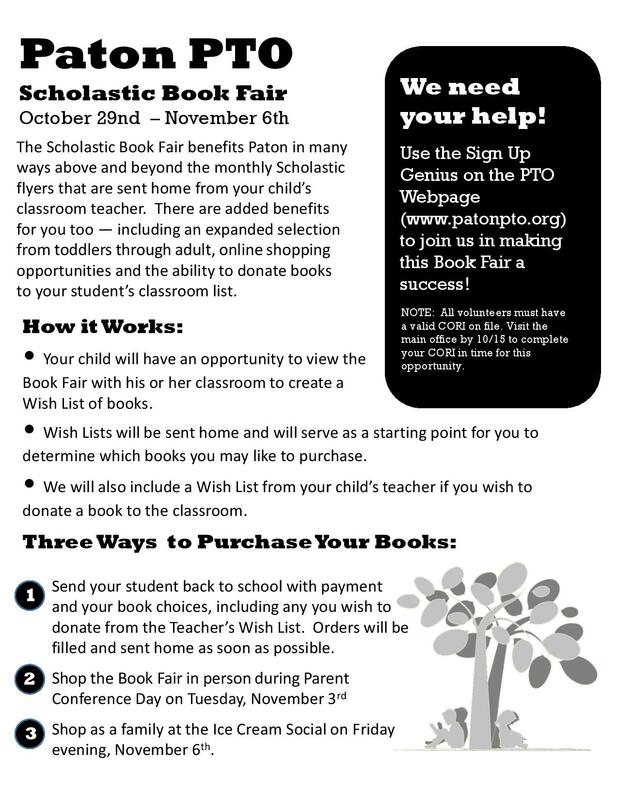 Paton’s annual Scholastic book fair will run October 29-November 6, 2015. This is one of our biggest fundraisers of the year and we are seeking lots of help to make it a success. Please see our Sign UP Genius for opportunities on how you can help us! See our flyer below for more information on buying and ordering books this year. Join Paton Families and the PTO for a night of fun! 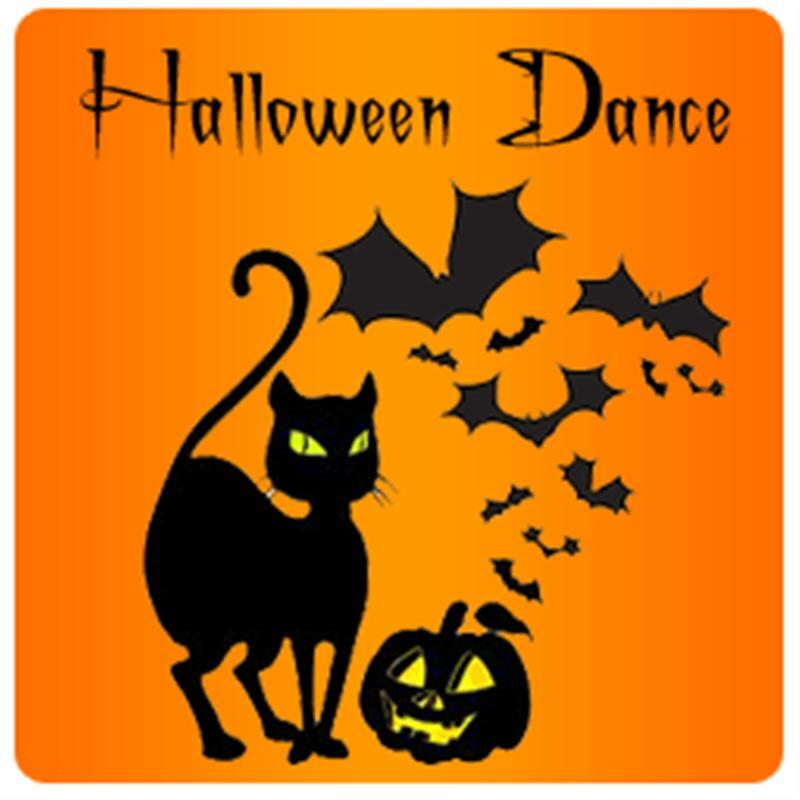 Our Fall Social Festivities include a DJ Dance Party, pumpkin painting and concession stand. This is a free event but donations are welcome. Join us in the Paton Elementary School Café-Gym-Atorium Friday, October 23rd 6-8pm. Please note, this is not a drop off event, parents are expected to remain with their children. Volunteers needed! Check out our Sign Up Genius for more information on how you can help! Sign-up to donate refreshments, setup, clean-up or work a shift during the event.